MODEL S1 is generally supplied with the adjustable keeper plate (S01XXX), without the release button. It's available with holding force of 500, 1000 or 1500 Newtons. 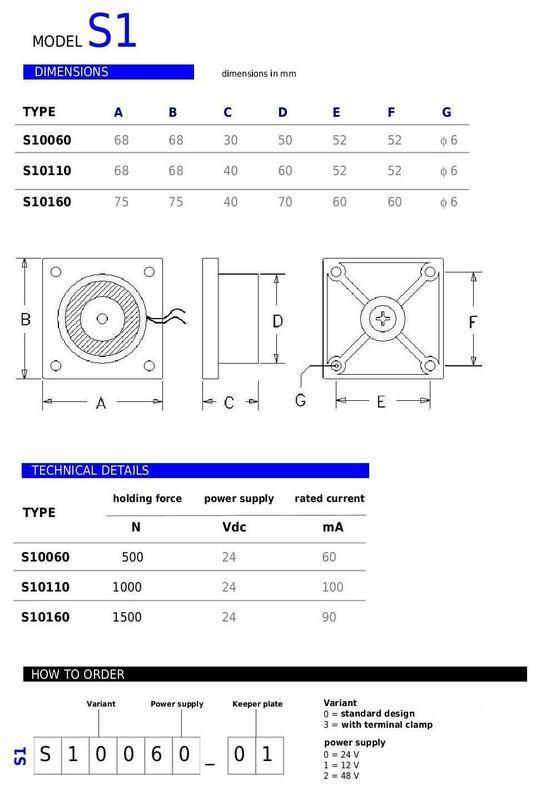 The electrical connection is made directly on the coil wires (L = 70mm), with standard voltage operation of 24Vdc. 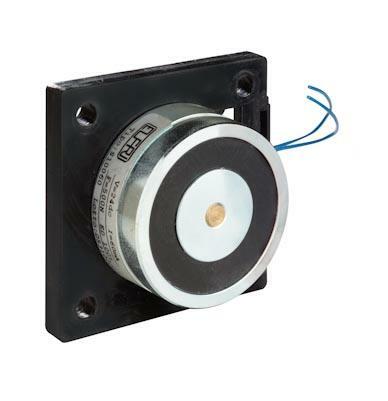 The fixing base of the magnet is made of plastic material (ABS) for models of 500 and 1000 Newtons, while for model of 1500 Newtons it's made of galvanized steel. I want to receive information on the page "Model S1"